70 new players chose this casino today! No credit card, no risk sign-up us Players from United States accepted 88% of new players recommend this casino 70 new players chose this casino today! There can never be too many social Slots apps, and Caesars Social Casino by Playtika is one of the top downloads for Casino enthusiasts. Get this gaming app absolutely for free and play all its amazing Slot machines with no real money involved. Available on both iOS and Android, this excellent mobile gaming experience also comes with some incredible bonuses. 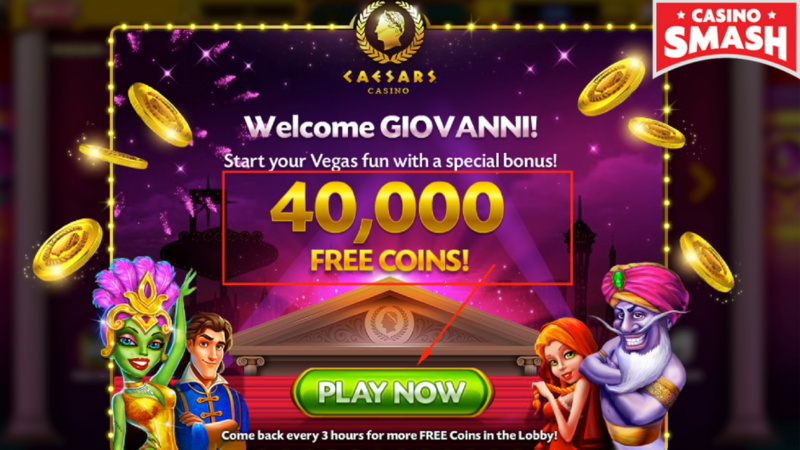 Welcome Bonus of 40,000 Free Coins! Use the coins to play any of the Slots featured on the Caesars Slots app. This means that you don’t even have to buy your own coins to have a good time. Once you use up your 40,000 coins (which will take some time and, in case you win, may never even happen), there are even more free coins to claim. Useful tip: Open your Caesars Casino app every three hours and get free coins instantly. This bonus is unlimited! More Free Coins with Playtika Rewards! You can have a lot of fun with Casino loyalty programs, and Caesars Casino just so happens to have one. It’s called Playtika’s Rewards Program, and it allows you to collect up to a million points a day! The key is to level up the program, and with each level there are more and more perks for players. Not only can you collect more and more experience points, but you can also claim thousands of coins a day. Claim Another 25K Bonus via Facebook! Once you download the app, you can also claim another 25,000 free coins by connecting to Facebook. Not only does this boost your piggy bank even more, but it also helps you keep track of your level progress and share and receive more coin gifts from friends. Join and spin the reels for free! As soon as you download the Caesar’s Social Casino app, you’ll realize that you have an excellent range of video Slot options to choose from. Well, no wonder - there are almost 150 free games in total, with new ones being released almost every month. As a result, the app includes games across nearly any genre you can think of, from classic fruit Slots like Sweet Doubles to adventure and arcade style games like Zeus Fortune and Leprechaun Riches. There are even a few stranger titles like Savage Beauty and Scooops if you’re looking for something less conventional. And of course, no Casino is complete without Las Vegas-themed Slots. Luckily, at Caesars Casino you can find such titles as Extravagant Vegas and Hot Vegas Thrills. You can also try your luck in hopes to hit the Jackpot with Caesars Progressive Jackpot Slots like Christmas in Pink. While there are no table games to play, you can enjoy Slots on your own or join others in competing for Leaderboard points and additional prizes. Keep in mind that you won’t be able to play all the app’s games from the very beginning. Instead, you have to unlock each Slot machine by collecting points and achieving new levels. 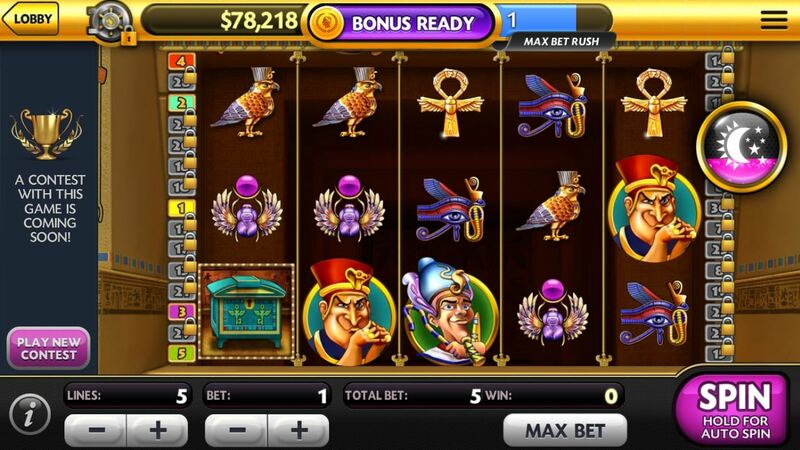 As soon as you sign up, you start with two free Slots - Cleopatra’s Quest and 8track. Play these games to level up. This will let you discover all the other Slots at Caesars. Luckily, this process is fast, easy, and fun. On the other hand, I’d love to have some more free games to play from the get-go. If you experience any problems when downloading or playing at Caesar's Social Casino, you can get in touch with the app's customer support team by filling out a form. The response will take a maximum of a few days and you will receive your answer by email. There is no live chat or phone number available, but you can find the answers to most questions in an extensive FAQ section accessible through the app. With its huge array of video Slots and generous bonuses, Caesars Social Casino is one of our top recommendations for Slots fans who may have trouble joining international Casinos. Playtika has also made sure that the mobile Casino app has an excellent reward program that will keep you interested for a long time. All in all, Caesars Casino is a great choice for players from the USA and other countries.